Many of us know that winter has arrived when we feel that first sharp sting of static electricity through our fingertips. For others, the first signs may include cracked lips and fingertips—or brand-new micro-cracks in our favorite wood armoire. Dry air is a recipe for discomfort as well as an increased risk of home fires. Sometimes, we can get by with humidity-boosting home remedies like showering with the bathroom door open or putting a pot of water atop the radiator pipes or woodstove. 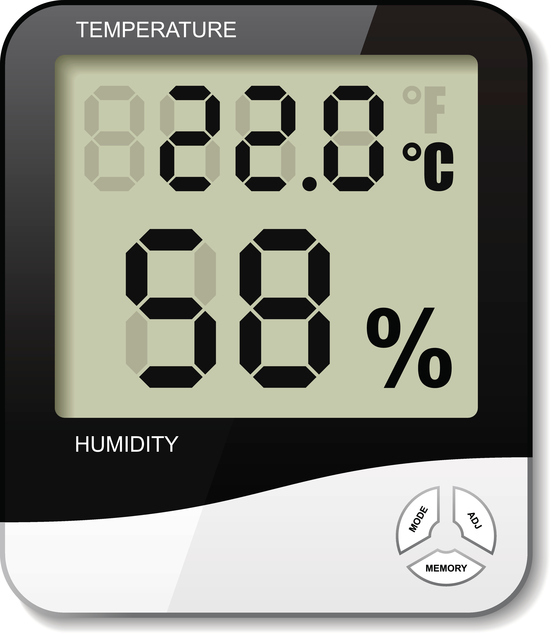 But sometimes, nothing we do ever seems to add back sufficient levels of humidity to our indoor air. When even portable humidifiers just aren't cutting it, it may be time to call in the big guns by transitioning to a whole home humidification system. In this post, learn about the different types of whole home humidifiers, how they work, and next steps to take to improve your winter indoor air humidity levels. A bypass whole home humidifier pulls warmed air from the furnace and sends it through the water panel in the humidifier. The already-warm air picks up additional moisture from the water panel and then distributes it through your air duct system. A fan-powered whole home humidifier works in the same exact way as the bypass system, except that the fan increases the amount of moisture the air can absorb, which then improves the amount of distributed humidity. A steam whole home humidifier heats water to the boiling point independent of whether the furnace is turned on or not. The HVAC blower pushes the steam out through the air vents to distribute it. As you might expect, each type of whole home humidification system has its pros and cons. As well, the best choice of whole home humidifier can depend in part on what type of HVAC system you are using in your home. Another factor is the amount of space you have available to install an aftermarket whole home humidifier. Still another factor can be your budget, short-term and long-term. If your HVAC system generates excess water, the drainless bypass system can recycle the water used to generate humidity, eliminating the need for a water drainage pan. The bypass system is also considered the most economical and easiest systems to install. However, they can be more maintenance-intensive. A fan-powered humidifier will not generate any excess or standing water. This system is very compact space-wise, since it doesn't need to attach to a bypass duct. However, it does need to attach to a water line and uses slightly more water than a bypass system. The fan-powered humidifier is also economical and fairly easy to install and maintain. A steam whole home humidifier can operate independently of your HVAC system. Because of this, the steam humidifier is considered the easiest system to control for maintaining consistent indoor air humidity levels. However, a steam system is also more complex to install and often pricier than either a bypass or fan-powered whole home humidifier. When we talk with clients who are having trouble maintaining sufficient indoor humidity levels during the winter season, often the first question we hear relates to the use of portable humidifiers. A portable humidifier can definitely be the right choice in certain types of situations. For example, if a member of your family has asthma or winter allergies, placing a portable humidifier in that bedroom can really alleviate these uncomfortable symptoms. But if everyone in the family is suffering from dry skin, chapped lips, increased respiratory discomfort, colds and flu, and static electricity charges, this is a sign that a whole home humidifier might be a better and more efficient choice. There are also dangers associated with portable humidifier use that are all too easy to overlook. The top danger is that, if you don't clean your portable humidifier every few days, mould and bacteria can build up and actually cause illness! It is worthwhile to start by using a portable humidifier to see if that is sufficient to address the air dryness. But if this doesn't work, or if you find yourself buying a portable humidifier for every room in your house, it’s likely time to upgrade to a whole home humidifier system. Here at Clean Air Solutions Hamilton, our friendly and highly skilled technicians are trained and licensed to work on all brands of humidifier systems. But like all air quality specialists, we also have our personal favorite brands and models of whole home humidifiers. Our top picks are Coleman and Aprilaire humidifiers. The Coleman bypass flow-through humidifier connects to your furnace’s supply or return air duct, using the air pressure to draw humidity up from the humidifier pad. The humidified air is then distributed using your existing air duct system. Aprilaire has three models: Model 400, Model 500, and Model 700. The 500 and 700 are rated for small- to mid-sized homes and large homes, respectively. The 400 is a drainless system that achieves near-100 percent water efficiency by recycling the water used to generate humidity. If you are tired of suffering through yet another winter season, feeling dried out and drowning in lotion, we are here to help! Give us a call at 905-544-2470 for a free indoor air quality consultation and a free quote on the whole home humidifier system that best matches your home size, budget, and humidity needs!